Ferndale is an affluent, triangular-shaped suburb in Randburg, northern Johannesburg. Randburg was once an independent municipality but today falls under the same municipality as Greater Johannesburg. 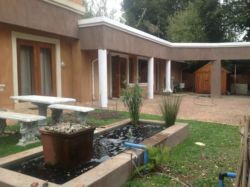 It is among the wealthiest parts of the city giving nearby areas such as Sandton and Bryanston a run for their money. Ferndale lies in the north of Randburg, near the N1 freeway. Randburg in general is known throughout Johannesburg for being home to a number of large shopping centres, such as the Cresta Shopping Mall and the Sanlam Shopping Centre. One of the favourites is located in Ferndale itself. Brightwater Commons, which was previously known as the Randburg Waterfront, is an artificial lake, around which a shopping mall and entertainment complex has been built. It is designed to mimic the V&A Waterfront in Cape Town. Brightwater Commons is home to numerous boutiques, an array of local and exotic restaurants, as well as a mini-golf course, paintball and a cinema complex. Nearby Sandton is a business hub in South Africa's largest city. 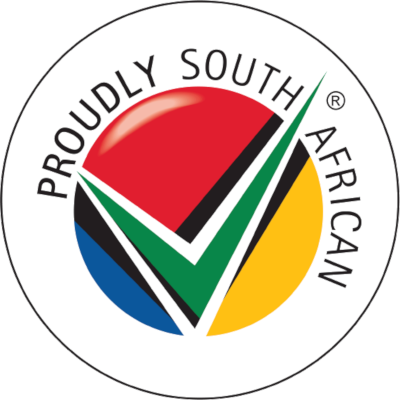 It is home to a number of businesses as well as the Sandton Convention Centre and the famous Sandton City mall - the largest one in South Africa. Neighbouring Bryanston hosts the Bryanston Organic Market every Saturday, easily accessible from Ferndale and well-worth the effort. There are also numerous golf and country clubs close to Ferndale such as the Randpark Golf Club and the Bryanston Country Club. Ferndale is an aesthetically pleasing suburb with plenty to do and even more nearby. 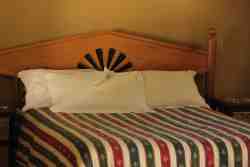 To this end it makes a pleasant and convenient place to find accommodation in Johannesburg. A quick look at our website will give you the information you need to make your choice. You will find reviews and you will also be able to compare prices and find wonderfully affordable accommodation in Ferndale. 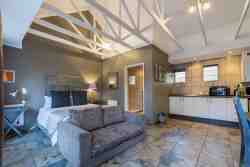 Are you planning the perfect getaway but have not yet found your ideal Ferndale accommodation? By using our easy website, you can find great accommodation of all types, whether it is a cosy bed and breakfast or a comfortable lodge. We have thousands of easy to find listings for self-catering facilities, holiday homes, guest houses and hotels as well as backpackers, chalets, caravan facilities, villas and apartments, giving you a wide variety of options when it comes to your accommodation in Ferndale. To help you find the right place to stay, we have a number of tools that you can use, including a map. This will help you to pin point exactly where you will be staying and it will show you the accommodation facilities that are closest to where you will be. Regardless of the reason for your visit to Ferndale, we can guarantee that you will find the type of accommodation you are looking for. But reviews for Ferndale accommodation is not the only information you will find. Want to know if your Ferndale accommodation is pet-friendly or allows smoking? All of that information is included on the listings page. You will also be able to find which activities are on offer and the sort of amenities included with each room. All of this information will help you to make an informed decision before you make any payments to, giving you more peace of mind about your choice. We include all of the contact details of the self-catering accommodation, holiday homes, guest houses and hotels as well as backpackers, chalets, caravan facilities, villas and apartments in Ferndale which are featured on this website, so you also have the option of getting directly in touch with the place. Regardless of where you are staying, we feature Ferndale accommodation in that area of the province. You have options of Ferndale guest houses, lodges and bed and breakfasts, among others, ranging from your more affordable, lower prices to your more luxurious options. So, you are not visiting for a holiday but rather for business and all you need is a place to stay for a night or two? The bed and breakfast options, as well as the lodges, are generally preferred by business people and you will find all types, from your more luxurious lodges to your simple, self-catering bed and breakfast. Each will give you a safe roof over your head while you are in the province. 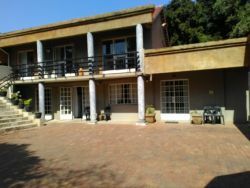 Ferndale accommodation is not only affordable but well situated. If you are doing business in this area, this is a great accommodation choice. Spending more than a few days in the province? Perhaps you are indulging in a tour of the region and you are looking for a few places to stay? Browsing through our listed self-catering accommodation, holiday homes, guest houses and hotels as well as backpackers, chalets, caravan facilities, villas and apartments in Ferndale will give you all of the information you need to make your selection. And once you have found the ideal place to stay, you can either request a quote or make your booking directly on this website. Sleeping-OUT.co.za is designed to make finding and booking accommodation in Ferndale easier than your traditional methods of sourcing a place to stay! 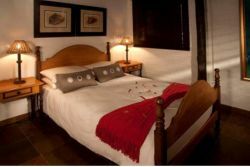 We include some great accommodation special deals in and around Ferndale.